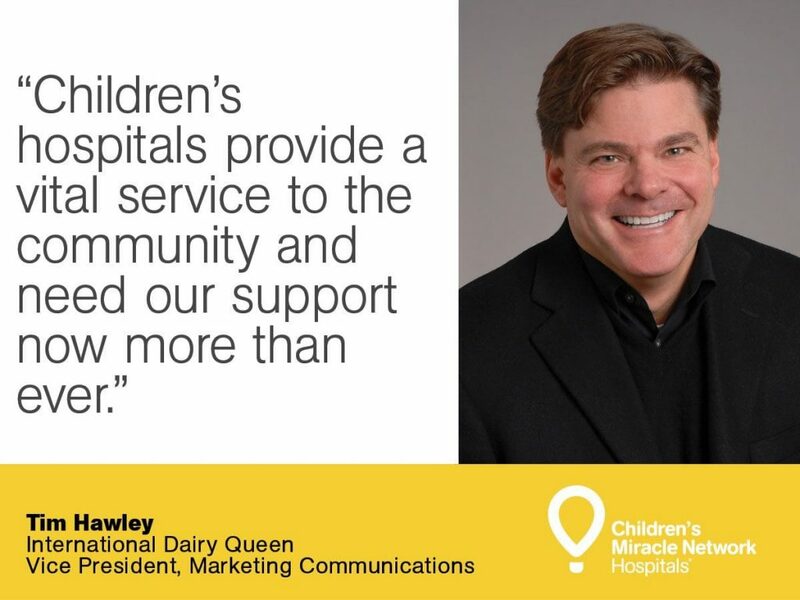 Dairy Queen Vice President Tim Hawley named as Chairman of the Board of Governors at Children’s Miracle Network Hospitals – Dairy Queen Corp.
Tim Hawley, vice president, marketing communications at International Dairy Queen, was recently appointed as chairperson of Children’s Miracle Network Hospitals Board of Governors. Hawley’s longtime support of CMN Hospitals will continue as he lends his expertise to improve healthcare for kids across North America. For more information about his recent appointment, visit our LinkedIn page. Over the past 32 years, Diary Queen operators and fans have raised more than $120 million for Children’s Miracle Network Hospitals.